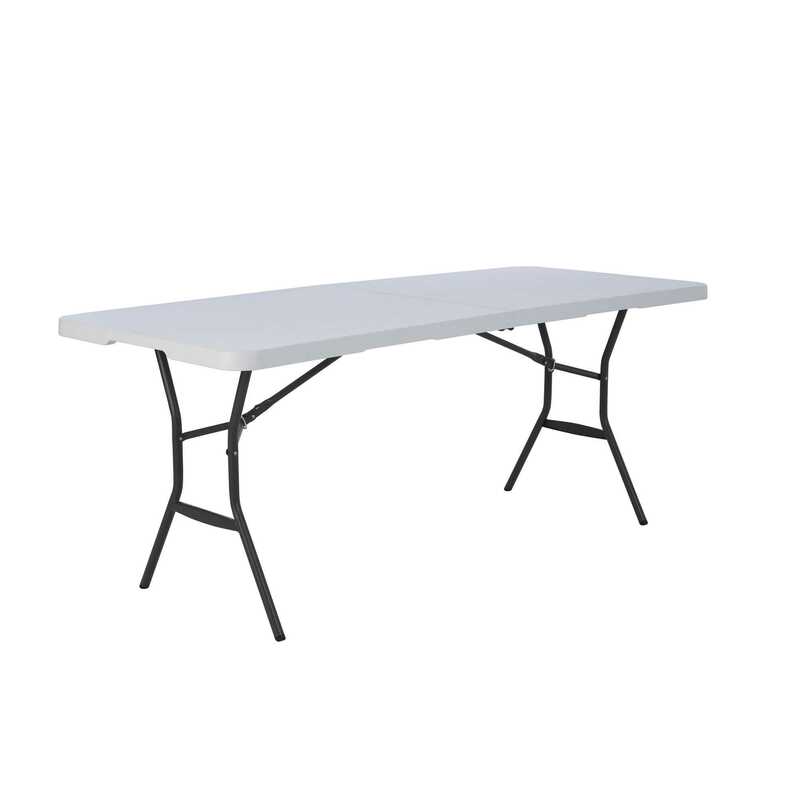 Lifetime Products Folding Tables are built from high impact polyethylene plastic. 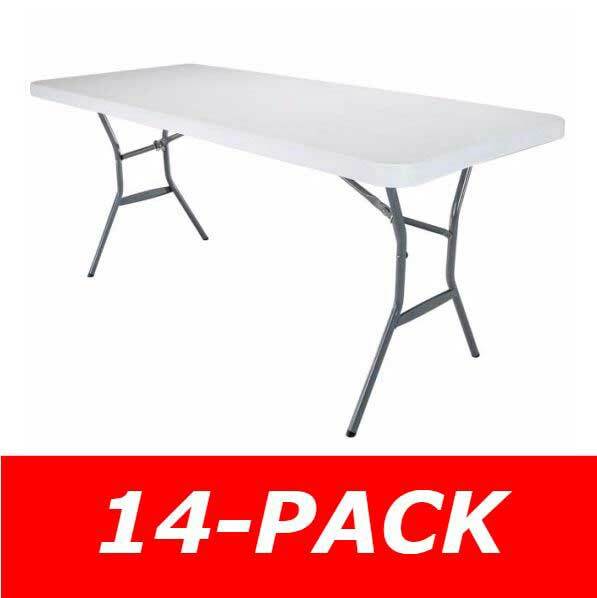 These tables will not fade, crack, or peel like traditional plastic tables do. 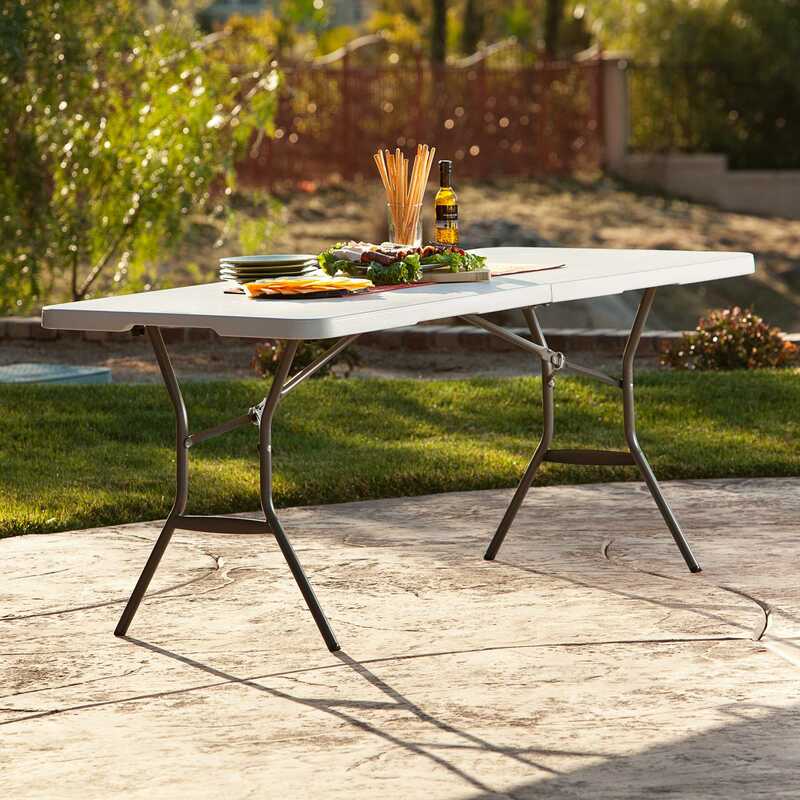 These folding tables are perfect for indoor and outdoor use. They fold in half for easier and better storage. 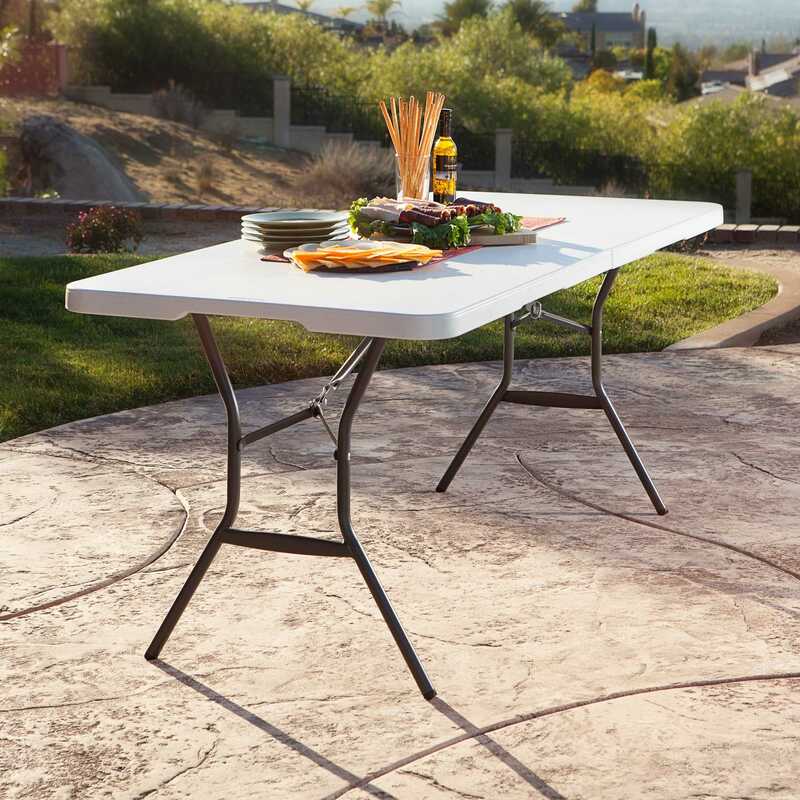 Each Lifetime folding table has a steel reinforced frame for added stability and use. 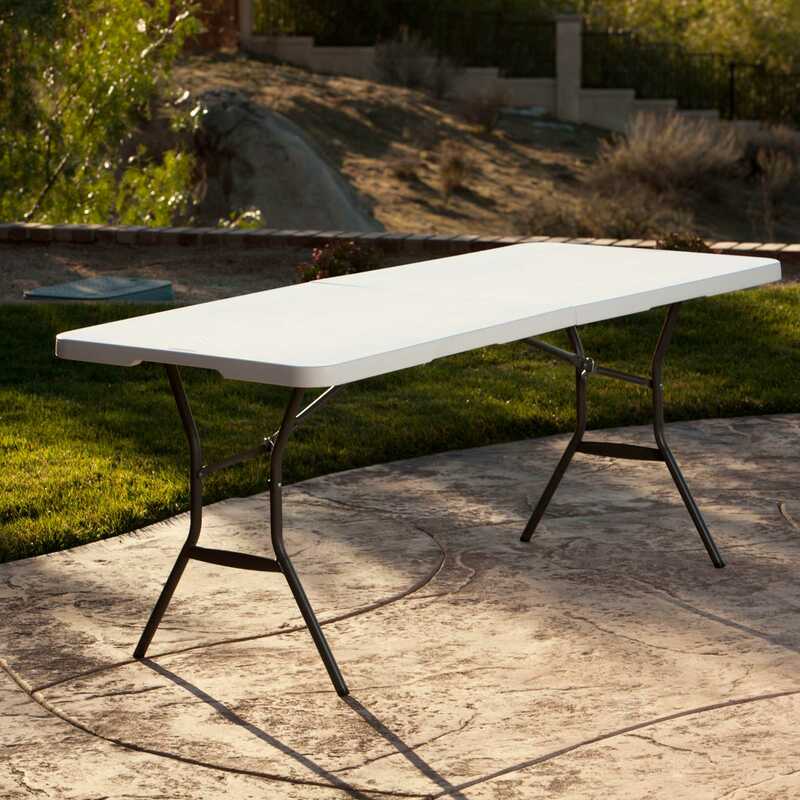 Table Top Depth is 2.5"
Folding-Half Folding banquet table is ideal for Home, Office, Crafts, Outdoor Activities and More! 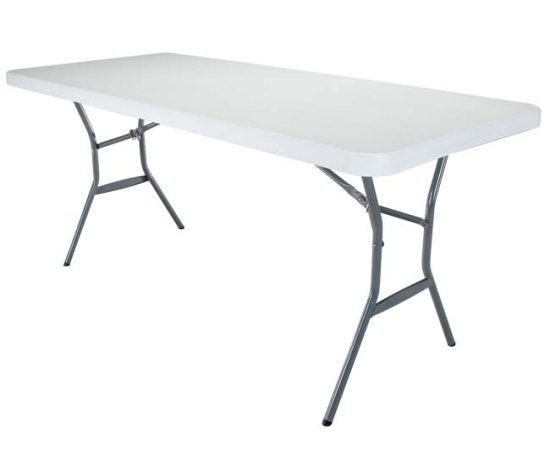 Competitive Edge Products, Inc. is an authorized distributor of Lifetime Products 5011 Fold in Half 6 ft. Folding Tables. 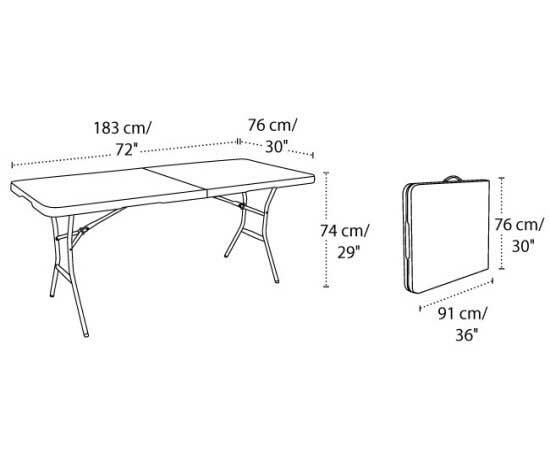 Check out our otherFold In Half Tables. We also have the 6 fold in half model4571. 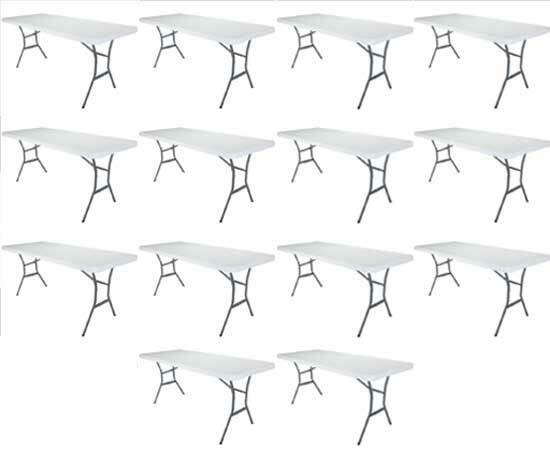 Pretty cool table. 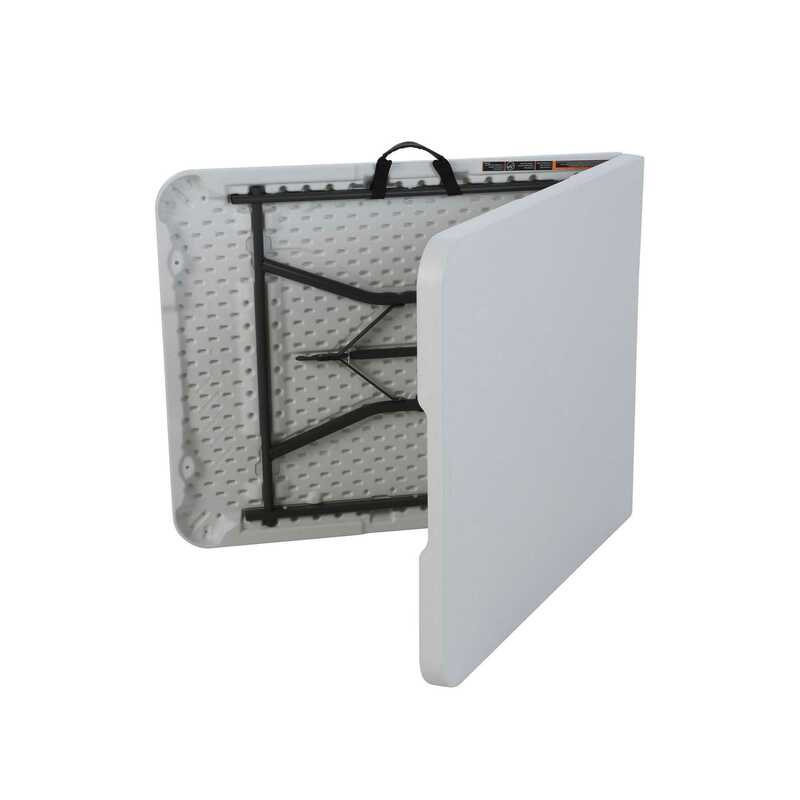 Easily folds up and cleans pretty easily. We have use these at family gatherings and they come in handy during Thanksgiving. I wish they had handles though. They are like though either way. 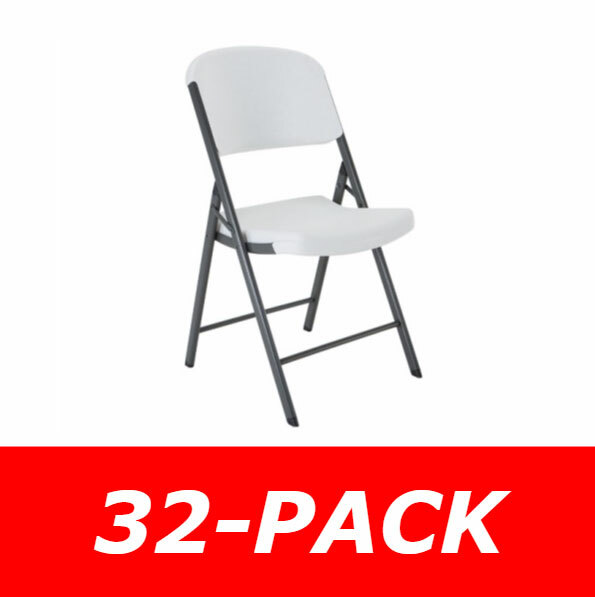 I have 10 of these and use them for garage sales and camping. Love that they're light and easy for me to manage by myself. They're super easy to keep clean. Friends know about my stash and love them, too! 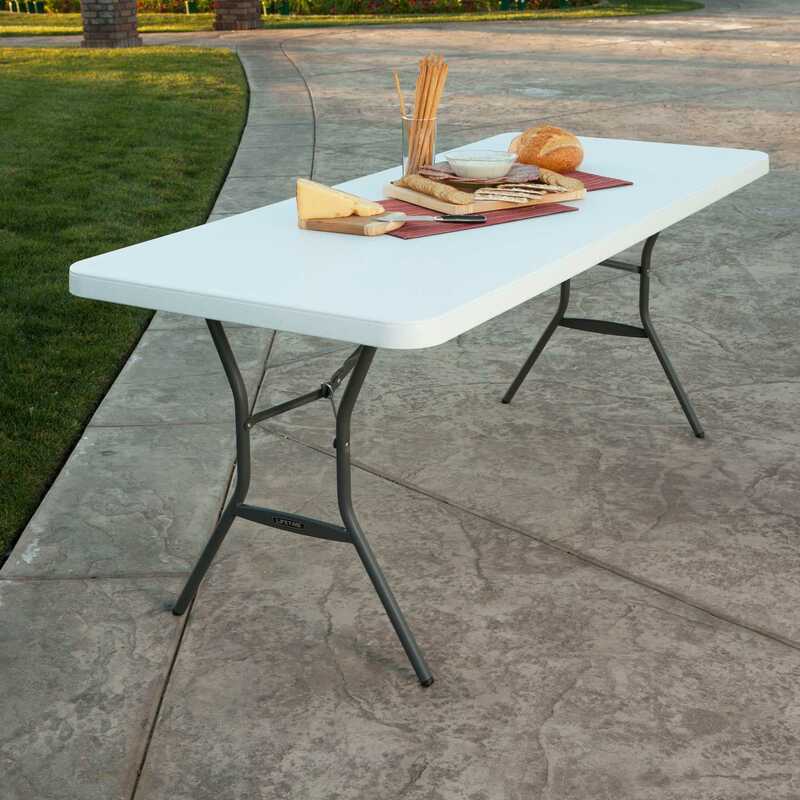 Great Table With Many Uses. 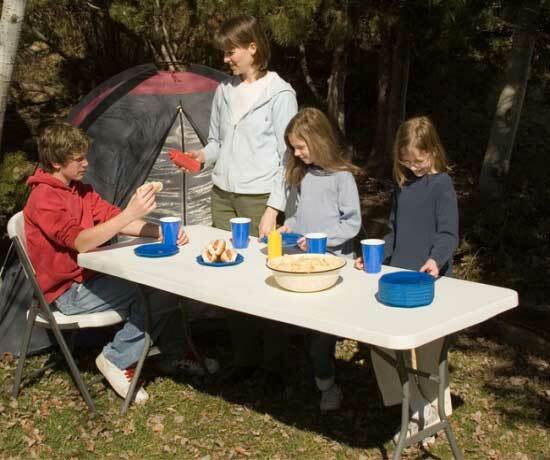 I've had this table for several years and have used it for dinners, yard sales, craft get togethers and camping. 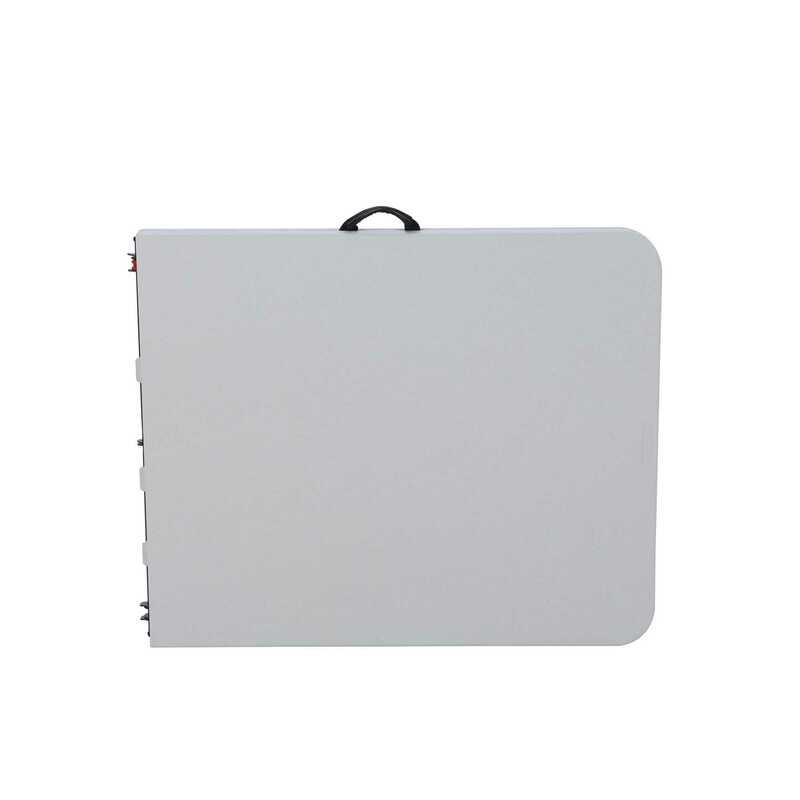 It is easily transported because it folds and feels very stable when assembled. Love it! 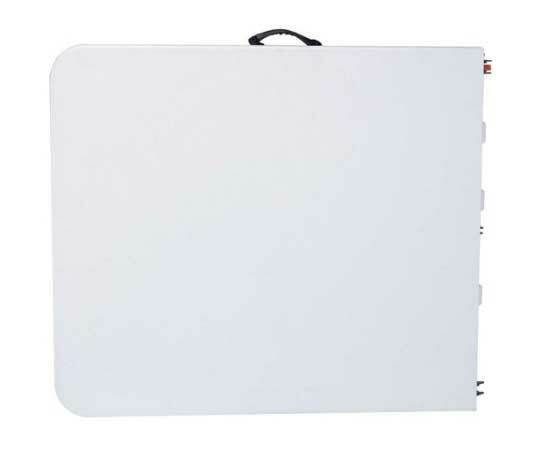 Q: Does this have a carrying handle built in? 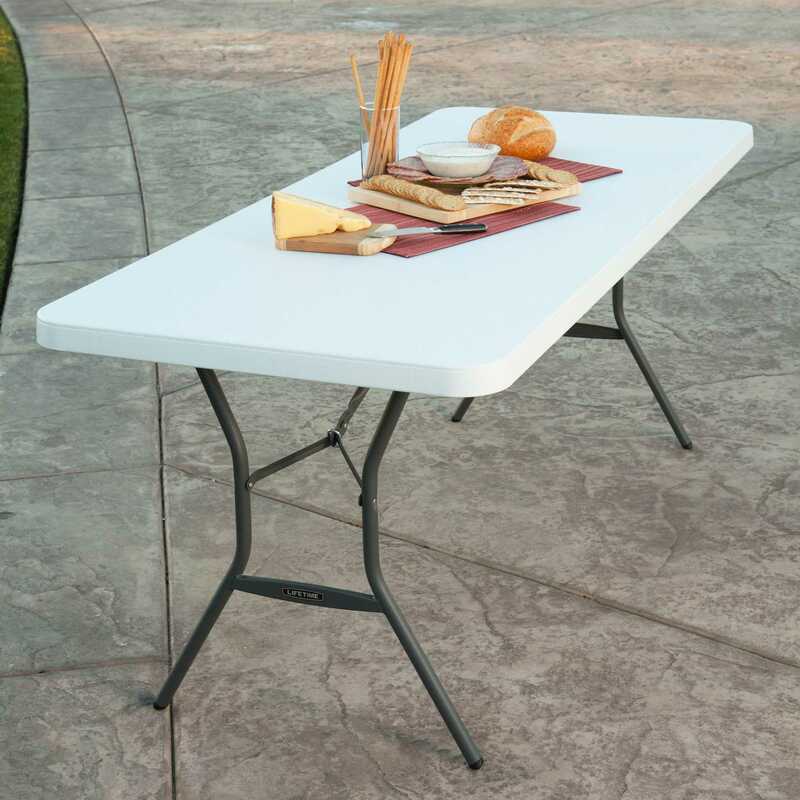 A: Yes, this does have a carrying handle built into the table. 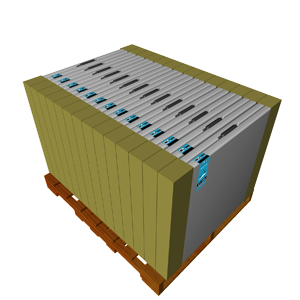 Shipping: Orders for the 5011 Lifetime 14 Pack 5 Foot Fold in Half Table generally leave the warehouse the next business day. Dimensions: 48" x 40" x 35"